The Name of This Book Is Secret is about the mystery of a magician’s house burning down. Cass, an extreme survivalist always prepared for all kinds of disasters, becomes unlikely friends with Max Ernest, a very talkative kid who’s allergic to almost everything. The become collaborators and begin investigating the death of Pietro Bergamo, a magician that died in a house fire. They soon discover The Midnight Sun which is a hotel that restores youth. Cass decides to impersonate a famous person and books a reservation for the hotel. The hotel offers a special kind of treatment that makes a person young forever. As soon as Cass gets to the hotel she starts looking around trying to find out as much as she can. The leaders of the Midnight Sun soon discover her plan and capture her. In the basement she finds Max Ernest who came looking for her. They plan their escape and then proceed to escape with another kid from their school called Benjamin. Cass’s butler Owen also helps them to escape. Right as they’re escaping, the spa burns down. Cass, Max Ernest, Benjamin, and Owen get out safely though. Cass and Max Ernest then get recruited for the Terces Society, and their adventures continue. 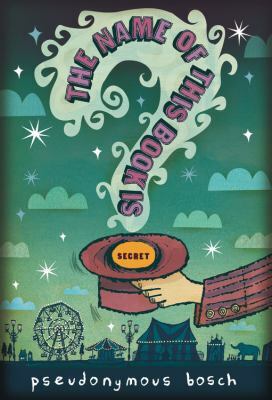 The Name Of This Book Is Secret by Pseudonymous Bosch is available for checkout from the Mission Viejo Library. It can also be downloaded for free from Overdrive. This entry was posted in Book Reviews and tagged adventure, immortality, mystery, secret societies by emilio04vargas. Bookmark the permalink.